Delta cooling solutions for automotive multimedia applications are found in the world's leading makers of mobile sound and entertainment systems. Operating at the leading-edge, Delta LED Headlight cooling fans focus on a novel application of fan technology paired with new lighting systems to reduce car energy consumption and stabilize the performance of the most important lighting system in a vehicle. 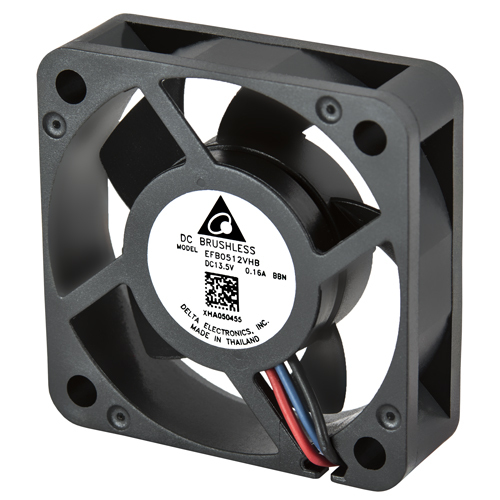 These Delta fans are built to offer higher performance, low vibration, lower noise, EMC protection, and optional IP protections while built to withstand the harsh operating temperature ranges in a LED Headlight / Headlamp. Power consumption has been reduced to minimize energy usage and associated fuel consumption which leads to less overall CO2 emissions and less contribution to smog. A cutting-edge application, it’s a way to the future today with regard to the reducing fuel consumption and avoiding CO2 emissions. Delta high-efficient DC brushless fans cooling LED headlamp actively to secure its performance and support to minimize fuel consumption further.